The United Nations estimates that currently, 54% of the world’s population lives in urban areas. These parts of our planet are hubs of human ingenuity and efficiency integral to regional economies, but are also responsible for much of earth’s environmental degradation and can be centres for unrest and crime. 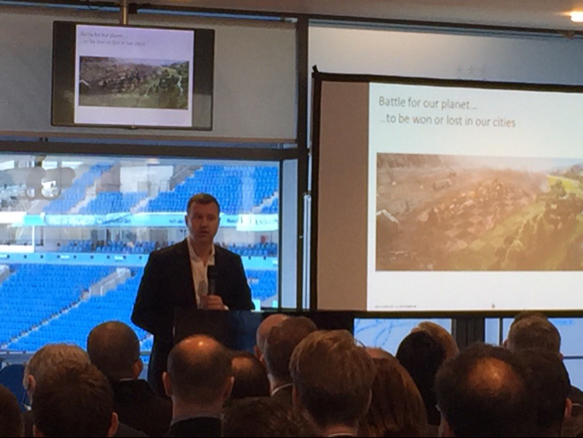 With the UN predicting that the proportion of people living in urban areas will account for 66% of human habitation by 2020, the opportunities these places present will grow, and the challenges they pose will only loom larger, as this decade draws to its close. In an attempt to solve the problems inherent to urban life, policy makers are turning to ‘smart cities’, which are harnessing digital and telecommunication technologies for the benefit of inhabitants and businesses. In the North of England the advantages of smart cities are being utilised to provide the economic growth, infrastructure improvements, emission reductions and crime prevention required to deliver the Government’s ambitious Northern Powerhouse. 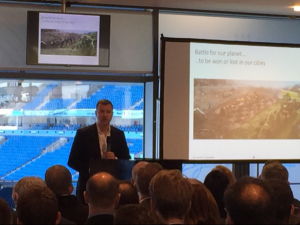 The potential of smart cities was the subject of a high-level conference entitled ‘The Future of Smart Cities’ #CitieSmart led by THINKlab on the 19th April at the Etihad Stadium in Manchester. 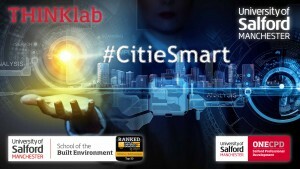 The conference was chaired by Prof. Terrence Fernando, Director of THINKlab, who organised the conference with the UoS standalone training company Salford Professional Development, explains: “Smart cities of the future should deploy the power of modern digital technologies to create safer, cleaner and economically prosperous cities for citizens to have an enjoyable quality of life without damaging the environment. 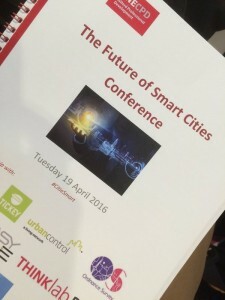 The conference was opened by Prof. Hisham Elkadi, Dean of the School of the Built Environment. 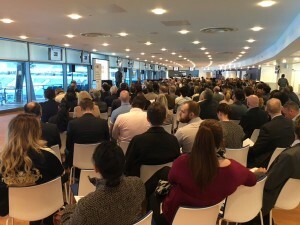 The one-day gathering was attended by 300+ delegates from both UK and International Industry and academic organisation and featured speakers from SmarterUK, Clicks and Links, Arup, Cisco Systems, OCF, Siemens, Transport for Greater Manchester, the UHSM Academy and Manchester City Council. The conferences comprised of two keynote speakers, seven main presentations, eight seminars, exhibitions and networking sessions. 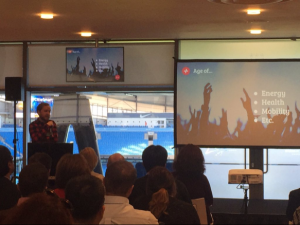 During the conference, speakers presented the lessons learnt from other smart city projects, technical challenges in developing smart cities as well as how smart cities could help in providing efficient health & social care, energy and transport. There was a common agreement that the smart city should be citizen centric and develop as open system allowing SMEs to develop innovative solutions.